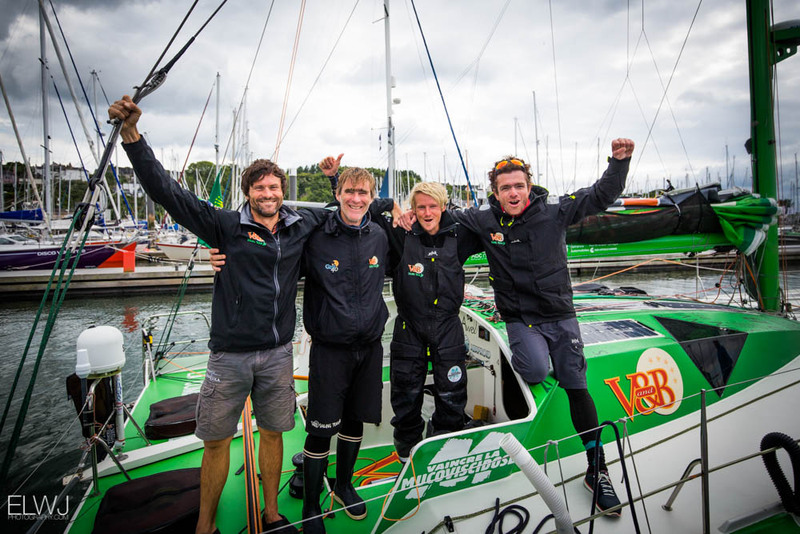 According to Sorel they had been swapping the lead with Imerys, skippered by Jersey’s Phil Sharp down the Channel but, “after Wolf Rock it became difficult for us - we had no wind on two occasions and then we lost second place.” By giving the Bishop Rock TSS a wider berth than the front runners, V and B was able to pull into the lead, which she held to the finish. Racing on board V and B was Sam Manuard, the boat’s designer, also an accomplished sailor and possibly another reason for their victory. The latest v3 incarnation of Manuard’s Mach 40 is a powerful reaching machine and they proved untouchable between Bishop Rock and the finish. 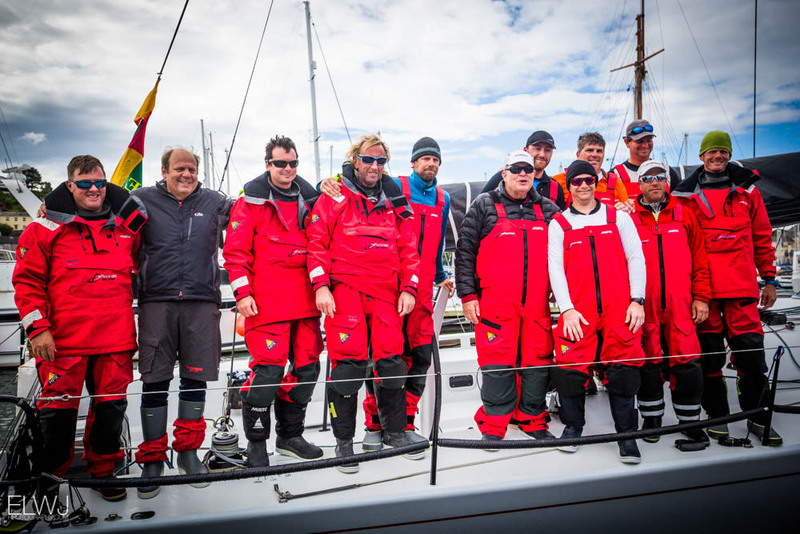 The majority of the race, especially outbound to the Fastnet Rock was led by Jersey’s Phil Sharp on board the v2 generation Mach 40, Imerys. 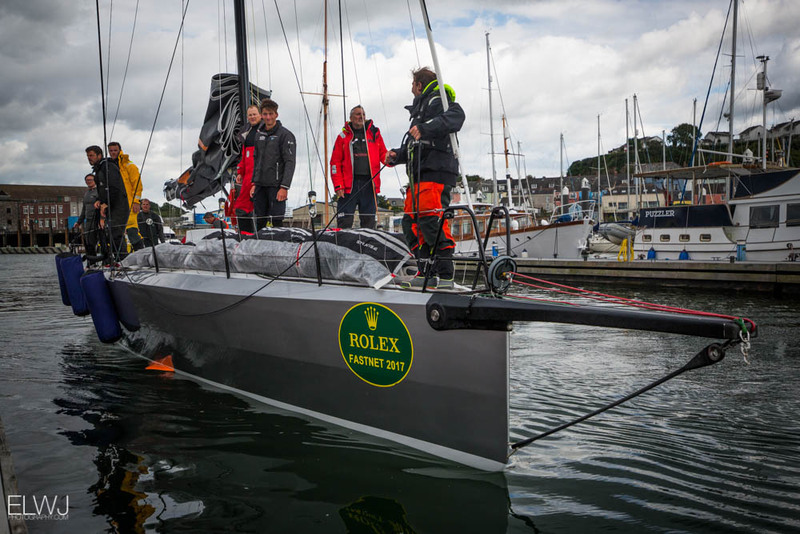 “Every Rolex Fastnet Race is very unique,” said Sharp. Also proving its worth was Campagne de France, designed and skippered by French offshore veteran Halvard Mabire and his accomplished British partner Miranda Merron. Campagne de France led the Class40s into the Celtic Sea and later around the Fastnet Rock and back down to Bishop Rock. Aside from some incredible sailing back from the Rock, they had also enjoyed a spectacular sunset yesterday evening, much attention from dolphins and also from some nasty clouds which had played havoc with the wind. Arriving on the heels of V and B was a fight between two of the more comfy racer cruiser catamarans, the TS42 Guyader Gastonomie of Christian Guyader, narrowly beaten on the water by the larger HH66 R-six of Pole Robert Szustkowski. 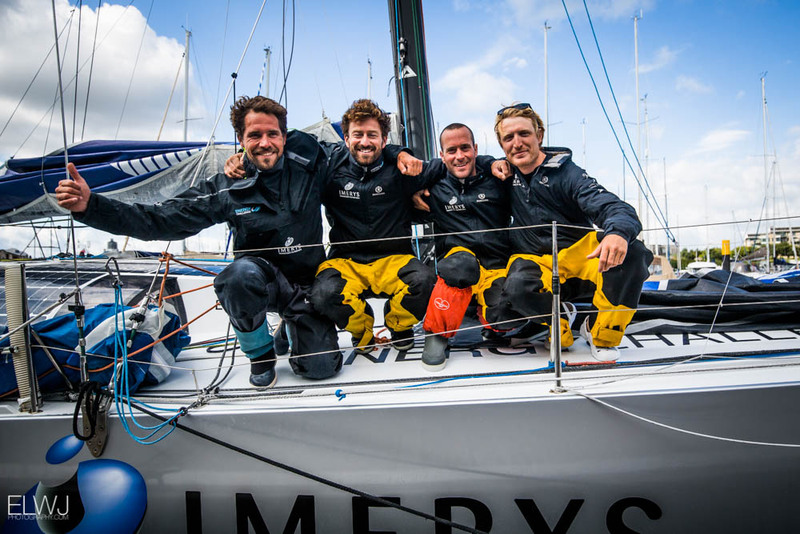 On board the former was 2015 outright Rolex Fastnet Race winner Géry Trentesaux. He was pleased they had arrived within five minutes of their substantially bigger rival and ahead of all but one Class40, despite the predominantly upwind race. Christian Guyader is a major backer of sailing in France via the seafood company that bears his name so the standard of cuisine on board his boat was exceptional. “The race was tiring - hard work and too much upwind! They need to redesign the course, it’s the wrong way round, 400 miles upwind and only 200 down. The Rock was awesome. We were really going fast. - I saw 24 knots, we were certainly out of the water. Overall in the race, American Ron O’Hanley’s Cookson 50 Privateer is looking strong for the overall prize under IRC, but there are plenty of smaller boats still capable of winning. Privateer is also looking good to win IRC Z ahead of the Ker 46 Lady Mariposa. The boats in IRC One are due to arrive tomorrow with Jean Claude Nicoleau and Nicolas Loday’s Grand Soleil 43 Codiam and the Mylius 15e25 Ars Una skippered by Vittorio Biscarini both vying for victory. Runaway leader in IRC Two remains Gilles Fournier and Corinne Migraine’s J/133 Pintia with Nick and Suzi Jones’ First 44.7 Lisa, skippered by RORC Commodore Michael Boyd currently in second and another seasoned campaigner, Ross Applebey’s Scarlet Oyster in third. IRC Three and Four are again being dominated by the French-built JPKs. In the former is a very tight battle between the JPK 10.80s, Marc Alperovitch’s Timeline and Stephen Hopson’s Blue Note, while in the latter it is between two JPK 10.10s the Loisin father and son’s 2013 winner, Night and Day and Noel Racine’s Foggy Dew.